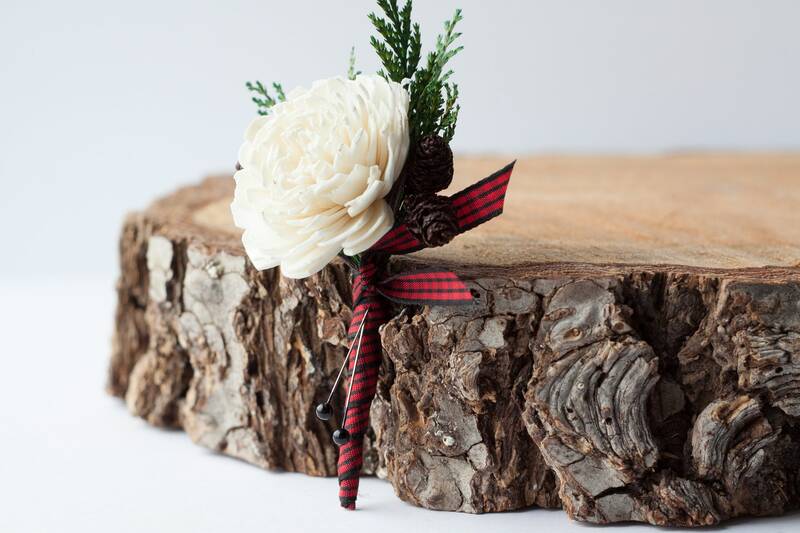 This boutonniere is perfect for a winter wedding or lumberjack themed wedding or event. 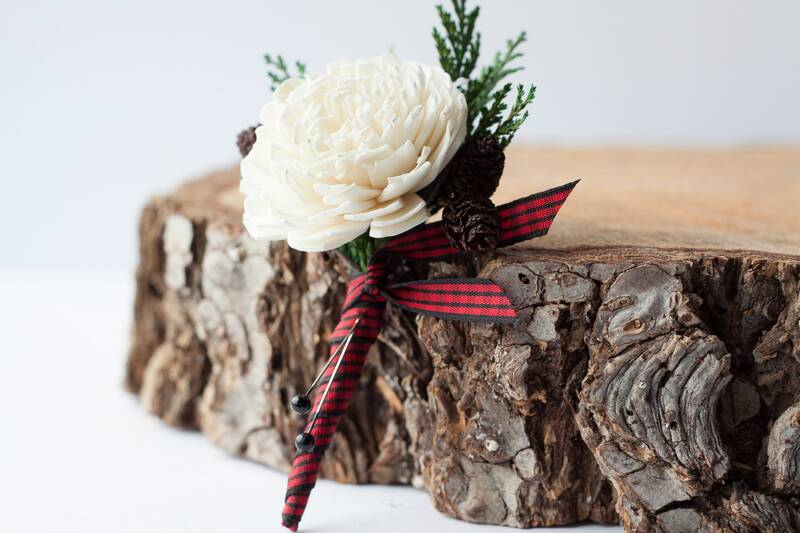 The keepsake boutonniere is made with brown miniature alder cones, an ivory sola flower and preserved cedar greenery. 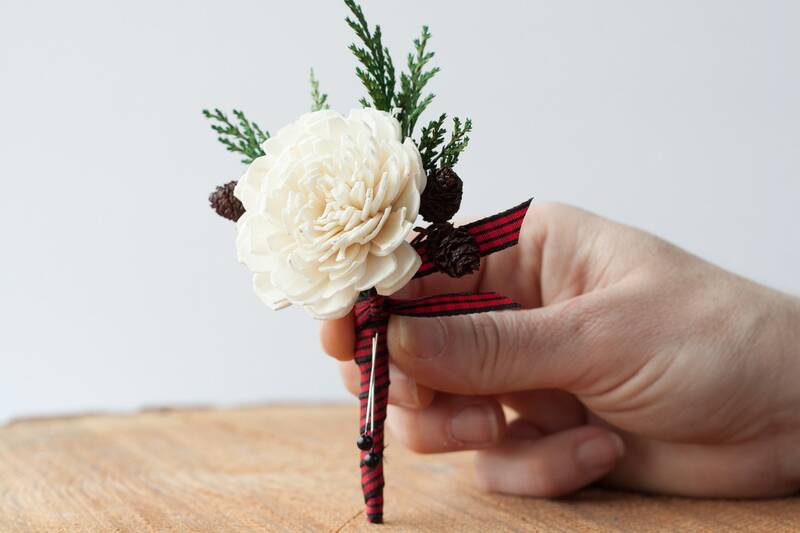 The boutonniere is pictured with a red and black buffalo plaid check ribbon but you may choose a different ribbon at checkout. 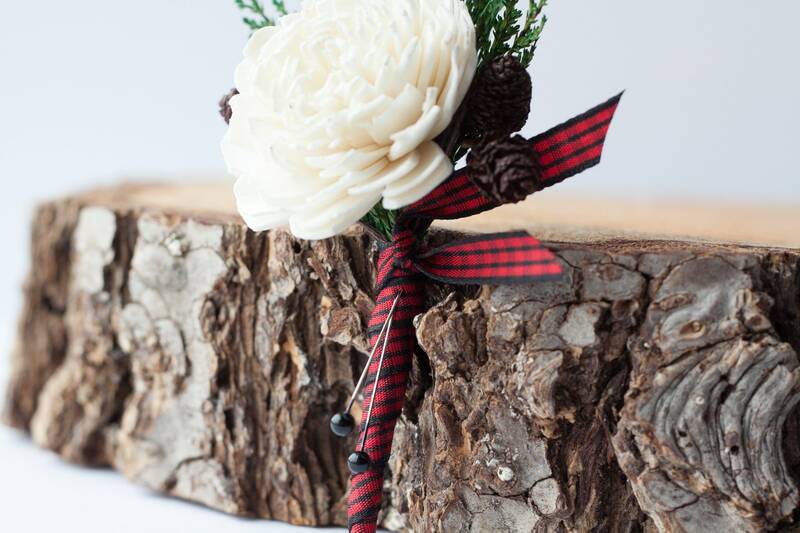 Black pins included. Perfect and exactly as described. Thank you so much! 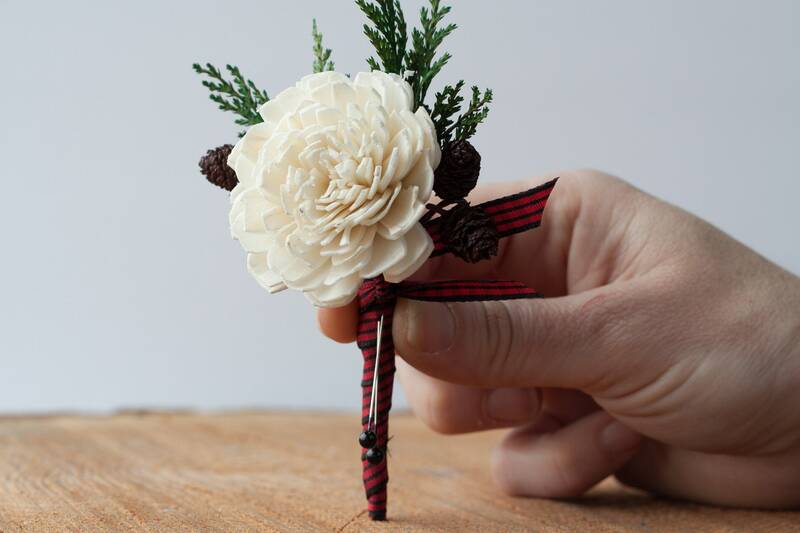 I can't wait to see these on the guys at our wedding.